Epic Games’ runaway hit Fortnite is now making as much as $2 million in revenue per day from mobile alone. According to Sensor Tower, the game has received a shot in the arm following the launch of season five. 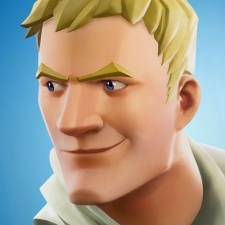 Between its initial release on March 15th and the end of season four on July 11th, players had been spending $1.2 million a day in the iOS version of Fortnite. According to data taken from the first 10 days of season five that figure has now jumped up to $2 million. The sum is 12 per cent higher than the preceding 10 days and 19 per cent higher than the $1.7 million players spent per day on average in the first 10 days of Season four. The start of season five also led to Fortnite smashing its all-time daily record with $3 million brought in on July 13th. The previous record was the $1.9 million brought in on May 1st, which was the start of season four. Players have spent more than $150 million in the iOS version of Fortnite to date, which surpassed $100 million total spending one month ago. According to Market intelligence firm SuperData, across platforms Fornite has racked up over $1 billion in revenue through in-game purchases. That kind of runaway success has led Fortnite developer Epic Games to be valued at $8.5 billion, according to Bloomberg.